Here at the Golf Family we caught up with 2018 BMW SA Open winner, Chris Paisley, to get his thoughts on his win, his recent years on Tour and how putting more pressure on himself in the off-season has helped his recent performances. 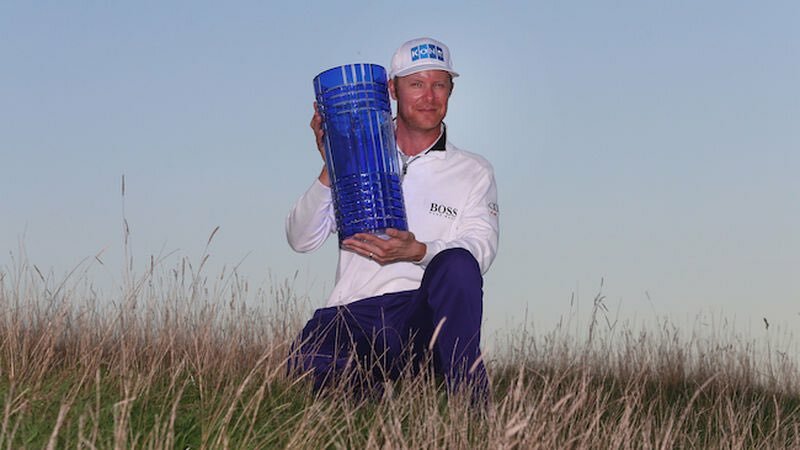 Hi Chris, you have you just recently got your first win at the BMW SA Open, was the overriding feeling that week, joy or relief to be off the mark? CP: It was a mix of a lot of emotions. Relief because it hasn’t exactly been a straightforward path to winning, and even though I knew I could win, you never know if your day is going to come. The feeling of joy walking up 18 with Keri was incredible. Gracie let us walk ahead and said ‘Enjoy the moment” I’ll never forget that. Since joining the European Tour in 2013, has the aim at the start of each season always been the same, and have you now adjusted your goals this season, following your win and back-to-back top-5’s since? CP: I think without realising it, I had become satisfied with keeping my card. I have always worked hard but my performances seemed to be good when the pressure was on, and then I would drop off when I had my card locked up. I made a conscious effort to set really high goals this year. I wanted to win, get into the top 100 in the world, and compete in majors and WGC’s. I’ll adjust my goals as I go but I want to really push myself and find out what I am capable of. You had 3rd place finishes in each of your last three seasons. Did those finishes give you confidence to put yourself in the position to win in South Africa and did you find yourself feeling frustrated after any of those weeks? CP: Those finishes were definitely important for me, as they are for anyone. Most guys have some close calls before they get their first win. You learn a lot about the game and yourself when you are in those situations. In the past I didn’t have the same belief, and I made some mental mistakes that I learned from each time. If you compared my mind-set and confidence in South Africa on the last day compared to say, Munich 3 years ago it would be night and day. I felt so calm and comfortable in SA, in Munich I was just delighted to get out of there with a third place! You now sit in 80th place in the Official World Golf Rankings, is the top-50 now the aim before the end of the season? CP: Yes I’d say top 50 is the next step. It has been such a rapid rise that I need to re evaluate things a little bit. I’m on the cusp of getting into some tournaments I could only have dreamt of a few months ago, and its really exciting. I really just want to give it my best go and see how far I can go. You played on the GB&I team in the 2009 Walker Cup against an American side that included Rickie Fowler, Brian Harman, Bud Cauley and Peter Uihlein, who stood out as the most impressive that week? CP: I remember the buzz was all about Rickie Fowler. I don’t think any of his matches went past the 13th hole that week! I played Bud Cauley in the singles on the last day and he was quite intimidating to play against. He’s about my size but absolutely rips it. I played Uihlein in the foursomes and he is obviously a great player. They had a quality team that year and beat us pretty easily! CP: Very much business as usual for now. There is such a long way to go until then that it’s not even in my mind yet. My current form is fantastic but I need to maintain it for a lot longer. The nice thing is that I genuinely feel like I could do it, which is amazing considering where I have come from. It’s too early to worry about it so I’ll just try to keep playing well! Is there any one big change made this season that has led to your recent success or is it just a case of confidence and self-belief? CP: It isn’t one big change. I have made a lot of small improvements in a lot of areas which have added up to a huge jump in performance. One of the main things was finding ways to bring pressure into my practice sessions. I was setting up tests and drills this winter, which if I failed, I had to do forfeits such as push ups or sprints. The embarrassment alone caused me to get nervous when I was doing the tests, which is exactly what I was trying to achieve. I also tried to play a lot of money games with other pros. This really bridged the gap between my practice in off weeks, and tournament rounds. I usually play poorly after a break, but this time I felt ready to go from round 1. Lastly. Have you had a chance to celebrate your win properly, given the busy schedule you have kept up, or have you just tried to remain focused in order to keep up this consistent form? CP: We haven’t had a chance to properly celebrate. After the win in SA I had to do about 2 or 3 hours of media and then we rushed to the airport to fly to Abu Dhabi. It was very much back to reality! Me and Keri had a quiet meal and a glass of wine later that week to celebrate, but that’s it. I knew I had to be ready to go again for Abu Dhabi so the proper celebrations are on hold until we get some time at home. To be honest I’m not bothered about going and getting drunk or anything. I’m just really looking forward to meeting up with the whole family at my folks house and having some home cooked food and nice wine. At the time of posting, Chris is currently leading the way at the Malaysian Open after a first-round 65 (-7). We at The Golf Family would like to thank Chris for his time, congratulate him again for his win at the BMW SA Open and wish him all the very best for the rest of this week in Malaysia and beyond.